This is the most difficult letter I have ever written. You have been such a big part of my life, and we have shared many moments together. Through all of the ups and downs, you have always been there, waiting to participate in every aspect of my life. I can’t recall the moment when we first met, or how we developed such a close bond over the years, but throughout every waking moment of my day, I always knew you were willing to put in the effort to be by my side. We became so close that I truly depended on the fact that you would be there with me, shadowing every moment of my day. Your fastidious nature made it possible for you to delve into every nuance of my life. It enabled you to invade the inner sanctum of my being and hold fast to the things you knew I held so dear. It is with a heavy heart that I have to write you this letter. Living with you has worn me down to a shadow of my former self. During our tumultuous relationship, I have lost a part of myself along the way and I gave you the power to feel superior. I made you feel like you had won. 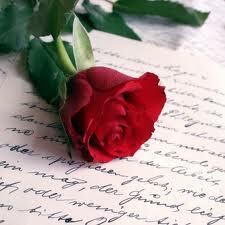 I am writing this letter to tell you that I have found something to replace you. During the journey that you and I have traversed together, I realized that I had feelings for tranquility. It soothes me in a way that you never could. It takes the time to understand my feelings, but spends more time making me feel relaxed, and more like myself. I wish you the best in your continued journey, but I have no place for you in my life. Our relationship will always be a learning experience for me, but I deserve better. Good luck in your future relationships with unsuspecting people. Thank you for telling me about your new blog and web site. Just read your first entry and would add that I am very glad I am not “stress” as I would hate to lose you as a friend. That’s very sweet…..and I hate to tell you, you’re stuck with me! It was certainly much lighter after it was finished! !